Before I get too into my opinions about this book, I'd like to mention one thing the plot summary of this novel doesn't mention, and that is that there is magic in this book. A large part of this novel revolves around the idea that "Edian's" have the ability to turn into animals. This is a really big part of the novel but isn't mentioned in the Goodreads description, so you have been warned!! I think the addition of this magic made this novel all the more funny and interesting. I'd heard a lot of people talking about this novel and how they loved it as a nice quick read, and I totally agree. This novel took me one day (I think) to finish and I enjoyed it all. It was quick and it was a very fluffy read. I did also end up laughing a couple times! This story follows three separate perspectives and it worked very well for the novel. It helped to keep me interested all the time and never really feel bored with the story. Although I loved this novel as a quick beach read, it did have a couple things that kept me from making a 5 star read. Firstly, I didn't love the plot line as much as I would have liked. At times it was predictable and I would have loved just a bit more in that department. It's like I wanted more meat in a sandwich, but I only got a bunch of romaine lettuce and sauce. Next, the humor. I was sold on this novel because I heard it was hilarious. People claimed that it was something that would make you laugh a lot more than I actually did. I don't know if this is because I have no sense of humor, but I wish there was a bit more there to make me laugh. Especially since that was the main reason that drew me to this novel. The last thing is a small thing, and it's not really something would be easy to fit into a story like this. I'm talking about action. I know this novel had some action, but I wanted a bit more. I don't know if this is because I'm used to my usual fantasy books and I'm not used to novels that don't have a lot of action. There is a scene in the novel that I think could really use more action, but I don't want to mention it because it could be spoiler, but I hope you'll get it when you read it. That's really about all I have to complain about. This novel is really all it promises to be, a light, fun, quick read that you'll enjoy all the way through. If that's what you're looking for, especially in the summer, I really recommend you pick up this novel. You can find it here on BookOutlet if you're looking for a good deal! 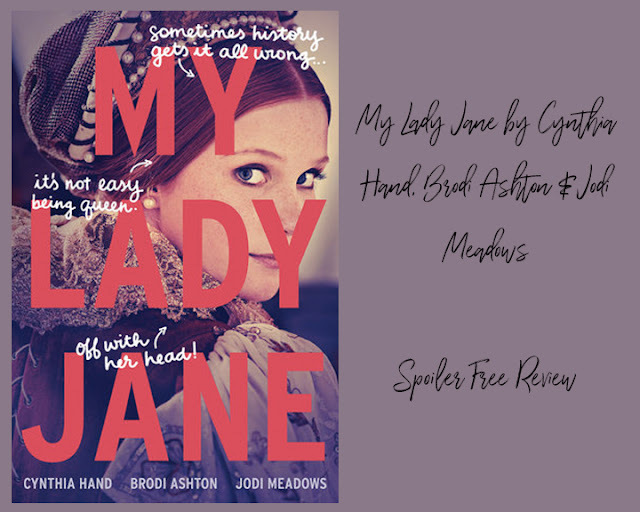 That concludes my review for My Lady Jane by Cynthia Hand, Brodi Ashton & Jodi Meadows! Please leave a comment down below letting me know what your favourite light summer reads are! 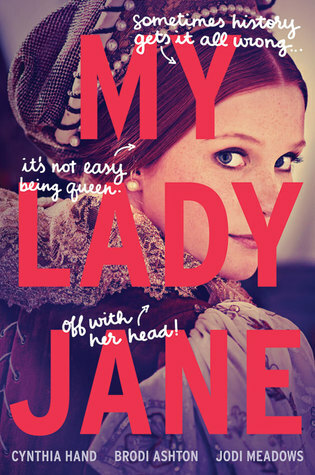 - Also if you've read My Lady Jane, let me know what you thought!